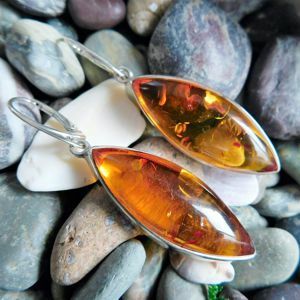 This pair of earrings is designed around two stunning Baltic Amber gemstones. The colour is golden yellow and the marquise-shaped gems measure 37 x 15 mm. 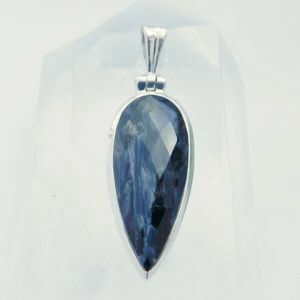 The gems are set in a Sterling Silver bezel and with every movement the sparkles look fascinating in the sunlight. 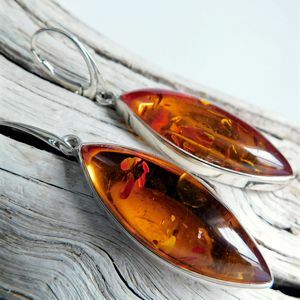 Amber is fossilized tree resin of ancient trees that lived 25 to 50 millions years ago; it can sometimes contain animal and plant material. Much valued from antiquity to the present as a gemstone, amber is made into a variety of decorative objects including jewelry. 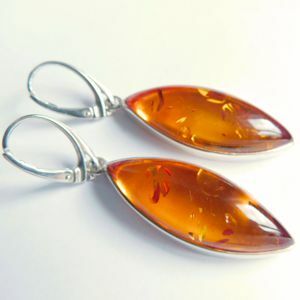 Amber comes in more than 300 different shades! The most common colours are honey, green, cherry, cognac, citrine, and butterscotch. The Greeks called amber elektron, the word from which electricity was derived because it becomes electrically charged when rubbed with a cloth and can attract small particles. Amber will warm against your body and the succinic acid will be absorbed through your skin helping with pain relief. 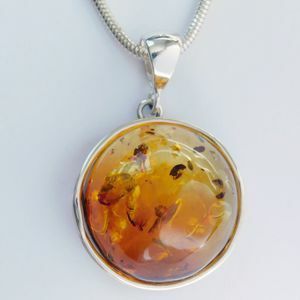 Used for centuries, Baltic Amber has been used for a variety of ailments from teething pain to arthritis. 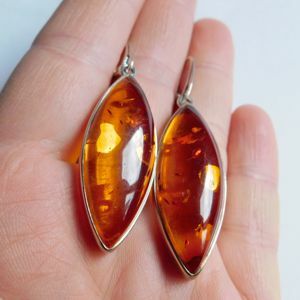 When not being worn, it is always best to wrap & store amber jewelry away from direct sunlight, inside a pouch or jewelry box. 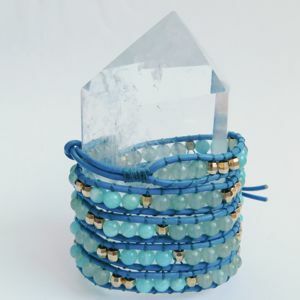 Its a soft gem and easy to scratch so be careful. Rinse the amber in the clean water. Dip your amber necklace into the bowl of clean water and move it around to remove excess soap, you can use a old toothbrush. Dry your amber off immediately using a soft, cloth. You can use any soft cloth, such as flannel or microfiber. Copyright © 2018, Gemfan. All Rights Reserved.